You don't have to play poker for real money to have a fun experience. Finding a reliable place to play online poker can be an overwhelming task, especially if you’re just looking for some fun that you don’t have to pay for. In case you are new to the poker scene, there are several online poker rooms that offer these types of free poker games with no registration. They will keep you entertained until you decide you're ready to play the game for money. Playing on these playmoney poker sites also helps you get to know the software a little bit, not a bad idea if you plan on playing for real later. In this article, we've listed five of the best play-money poker sites to enjoy and help hone your skills. Let us know if you have any other favorites in the comments! Now, if you already play poker and you’re not familiar with PokerStars, you’ve been living in a hole, not even just under a rock. PokerStars is like a mecca for poker, and they’re known for providing the good ones when it comes to both real-money online poker and play money free poker. Even more than the quality PokerStars offers, PokerStars is known for the breadth of poker games and tournament formats that you can get accustomed to if you’re just starting out, learning to play online. All you have to do to get started is open the PokerStars software and select the ‘Play Money’ option. From there, you should be good to go, ready to take on the world. And, no worries if you run out of chips: You can top up just by taking a seat at a ring game table. PokerStars Team Pro Barry Greenstein is known to frequent the online playmoney games. Since he lives in America, and can't play for real money there, he often shows up at the playmoney tables over at PokerStars. While you might start with the lowest games, you can work yourself up to the highest playmoney stakes and battle with the legend that is Barry Greenstein. Maybe you can hit an ace on the river in one of these free games! 888poker is another behemoth in the poker scene. They too offer both real-money and play-money poker games. You can play in their free poker practice mode to familiarize yourself with the rules of poker, or develop your poker skills in their 888poker Practice Play Lobby. Just for registering with 888poker, you can get $8 instantly to add to your account and then another $80 as you collect status points. Cash games constantly run at 888poker, giving you the ultimate freedom to decide when and for how long you want to try poker online. With the number of players who have signed up for 888, free games for playmoney are always on offer. You never have to wait long to play a playmoney cash game or play money tournament. And, when you’re finally ready to stretch into real-money games, you can take your first deposit, get 888poker to double it and gain entry into nine free tournaments. 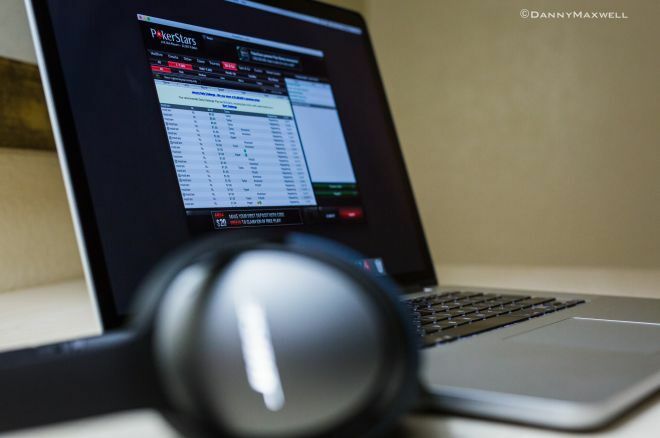 If you’re serious about playing, you can jump right into a free game in the 'Play Money' tab or even go to the free poker school to learn about how to play online. Like on 888poker and PokerStars, there are plenty of players on the free partypoker client, so you should never be bored. Free poker await! Full Tilt Poker is still a force to be reckoned with. While it's not the site it once was, you can still play on your favorite software against players from all over the world. Full Tilt now uses the poker platform of PokerStars, but the avatars and other perks of the site are still alive and kicking. Playing free poker on Full Tilt is as easy as it can be. Like the other sites, they offer playmoney games so you can give poker a try without risking any of your hard-earned money. Go ahead and give the play money games a try, it's a lot of fun. Play is often reckless on these free poker sites, so you have to be patient and smart about it. Once you've built up a little playmoney bankroll, you'll see that the level of play gets tougher. This way you can test your skills for free, and eventually, try the real money Full Tilt poker platform. New Player Bonus - Up to €2,000! Up to €2,000 first deposit bonus! Over on Betsafe, playmoney games are popular as they've ever been. Betsafe is part of the Microgaming platform, so there are plenty of free poker games to be played. You can take your pick between free cash games with playmoney chips or free poker tournaments to play. If you play on Betsafe poker, you play against players from the entire world. As there are no restrictions on play money games, you can easily get heads up against a player from the other end of the world, or share a pot with your next-door neighbor. Or you can get your friends to sign up and play against each other, both at home or right next to each other. That way, you don't have to do with shuffling cards and getting chips, the software does that all for you!